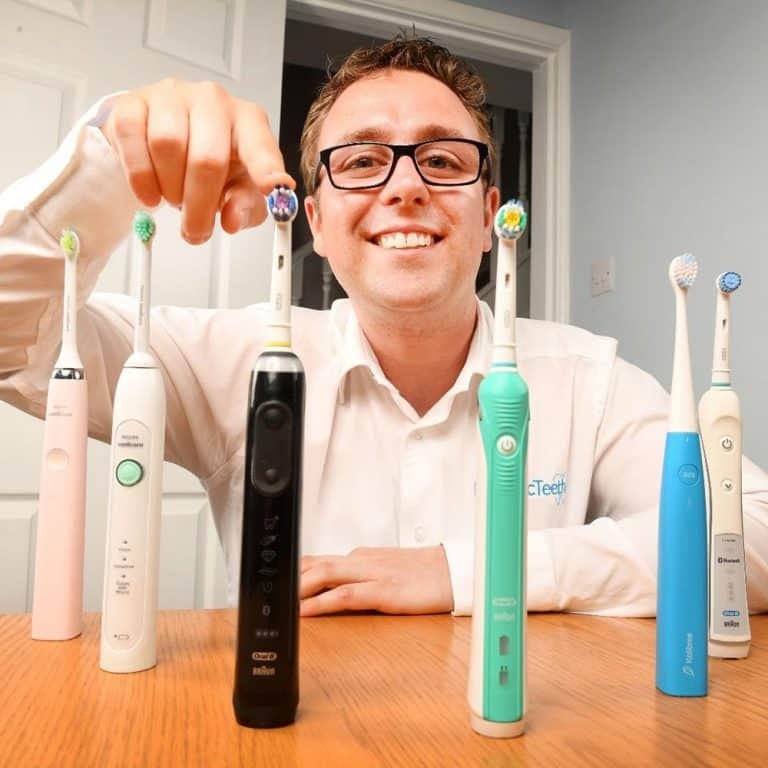 There comes a time in the life of an electric toothbrush where it is no longer working as it should and it needs to be replaced or you have simply decided it is time for a new one. The question is, what do you do with it? You have two main options as far as we see it. If it is still working and there is nothing wrong with it then perhaps give it to someone else to use (change the brush head of course). Someone else might be able to get some value from it if your desire is to get a new one. Another option is to retain it for use as a tool to help you with cleaning jobs….it is surprising how handy they can be. One of the best uses is cleaning grout, tiles and other hard to reach areas in a bathroom, round the bottom of taps maybe. Many will use a manual toothbrush, but why not take advantage of the extra power and motion offered up by an electric toothbrush?! Keep your old brush heads too, these will be fine for cleaning tiles etc. An electric toothbrush contains plastic batteries and electrical components. The batteries in particular should not be disposed with or amongst your ‘normal’ waste. The chemicals in the battery can be dangerous to the environment if disposed amongst general waste that goes to landfill. It should therefore be recycled. Believe it or not parts of the electric toothbrush battery can be reused for other products or industries. Plastic parts such as the body of the brush handle itself will likely end up in landfill at the end of the recycling process. A petroleum product, it does not biodegrade and if incinerated release toxic chemicals. Within the UK, The Waste Electrical and Electronic Equipment (WEEE) Directive, was introduced in 2007 and governs how manufacturers and retailers in European countries behave in regards to recycling. The principle behind the directive is to ensure that landfill contains less of the harmful electrical products. The WEEE regulations do not directly affect you or I, targeting the manufacturers and suppliers, but as a result it has made it much easier for us to recycle our old electrical goods. Under the terms of the WEEE directive, all retailers must provide a way for you and I to dispose of our electric toothbrushes and other old household electrical items when we are sold a new version. Some companies, particularly for larger appliances will offer a collection service whilst others which are part of the take-back scheme will direct you to your local recycling center. Manufacturers and suppliers help fund the national initiatives to reduce landfill and increase recycling. This article is mostly concerned with the recycling of an electric toothbrush, but you should no many more electrical items can be recycled. Fridges, freezers, microwaves, dishwashers and washing machines. Irons, toasters, kettles and vacuum cleaners. Laptops, fax machines, printers, phones and smartphones. MP3 players, stereos, TVs, DVD players and games consoles. Drills, saws, lawn mowers and sewing machines. Electric toothbrushes, hair dryers, straighteners and curling tongs. 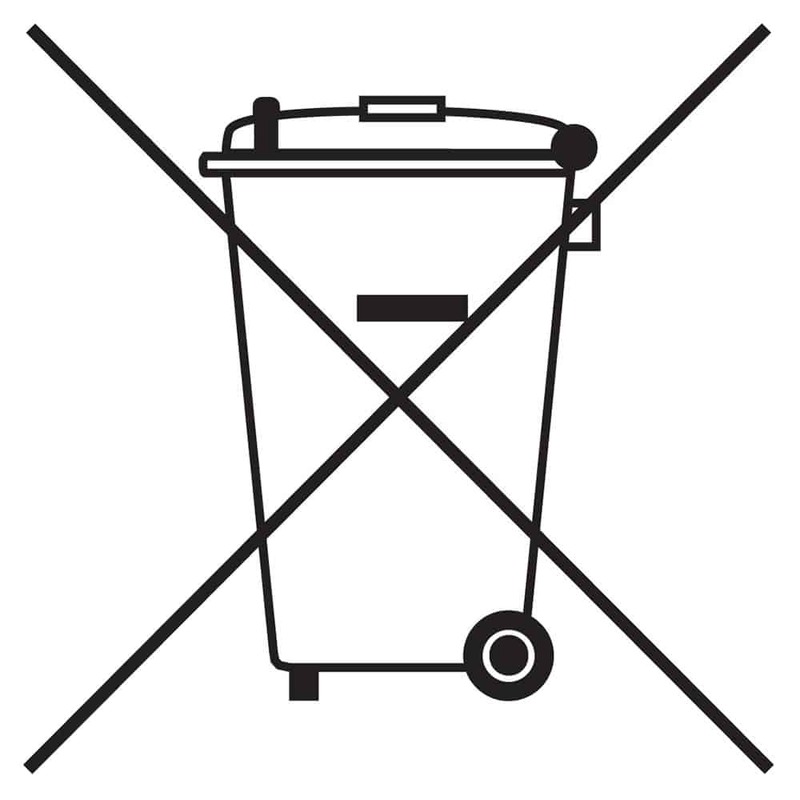 Does it carry the WEEE wheelie bin logo (a crossed out wheelie bin)? This directive has made recycling much easier. Whilst your electric toothbrush cannot normally be taken away in your kerbside recycling programmes that most councils operate there are normally local recycling centres nearby that will accept these. Locate your nearest recycling centre by using the handy tool offered on the Recycle More website that will tell you where your nearest recycling centre or point is for a whole variety of different items. If you are in the USA check out Call2Recycle a site that contains lots of useful information about battery recycling programs in North America. It can help you to to find a recycler near you. You will be aware that every 3 months the brush head on your electric toothbrush should be replaced. Made of various plastics and nylon, the brush heads cannot be recycled. They have to go into landfill waste. 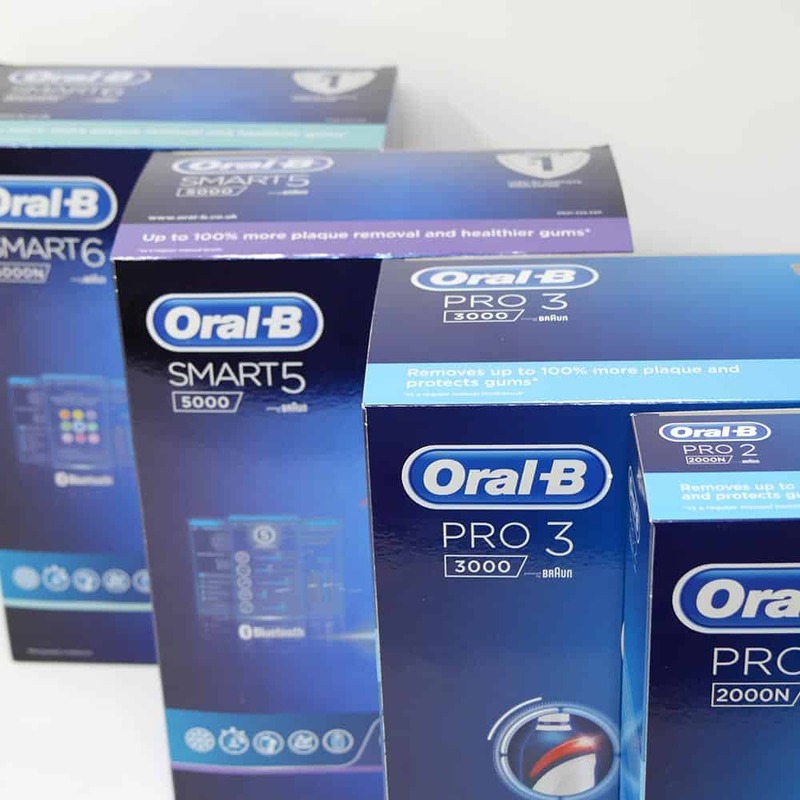 We wanted to make a mention of the packaging in which electric toothbrushes comes. To date from all the toothbrushes I have tested, I have found Philips Sonicare to be the best for their more environmentally approach to packaging. All brands have outer cardboard boxes, but Sonicare tend to have a cardboard inner much like the material/texture of an egg box. Colgate have thin moulded plastic whilst Oral-B use polystyrene. The card can be recycled, the plastic and polystyrene can’t. I would like to see Oral-B particularly drop the use of polystyrene. It could be argued that a manual toothbrush without battery is better for the environment. However, just like an electric toothbrush, the plastic and nylon construction is not biodegradable and cannot be recycled. If you are looking to be greener and more environmentally friendly with your brushing, you can look for brushes with bamboo handles. Preserve is a US based company making a difference in offering recyclable brushes made from recycled #5 plastics such as yoghurt pots. It would be nice to see more initiatives like this. What a brilliantly informative web site this is. Thanks for doing all the hard work Jon. I’m needing a new electric toothbrush and reading this ahead of the Black Friday sale has just made it a whole lot easier for me. Congratulations and thanks for using your valuable time to help others. Thanks for the kind words Cherry. Excellent and concise summary of what to do with your old electric toothbrushes and brush heads. I now know what to do with them. Re-use them for cleaning stains on clothes or around the house especially tiles. And then the electric toothbrush eventually goes into recycling, whereas the heads will eventually have to be disposed of into landfill. Many thanks Jon Love. You’re a hero!